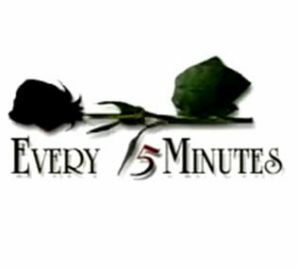 DONATION TO EVERY 15 MINUTES - Convenient way to make a donation to our Every 15 Minutes Program using your credit card. You can make a donation to this worthwhile cause in increments of $25.00 by selecting the quantity you want to donate (example: to donate $100, choose a quantity of 4). THANK YOU FOR SUPPORTING THE EHS EVERY 15 MINUTES PROGRAM!